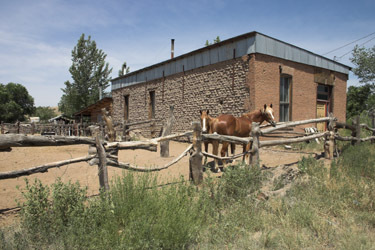 The town of Winston, originally named Fairview, began as a mining camp at about the same time as the founding of Chloride just a few miles to the southwest. 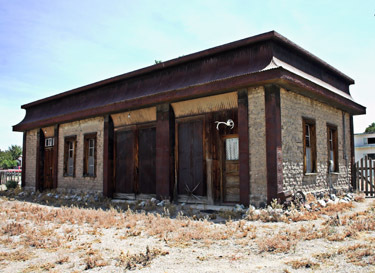 By the early summer of 1881, numerous buildings had been erected and preparations for a community well and hotel had begun. Until about 1883 Winston catered to a population of about 500 people. By 1989 the population was down to 125 but it was a settled group as reflected by the growing number of services including a school and literary Club. A daily stage ran from Winston to the A.T. & S.F. rail stop at Engle, 50 miles away. A small collection of ranchers and retirees still call Winston home today. 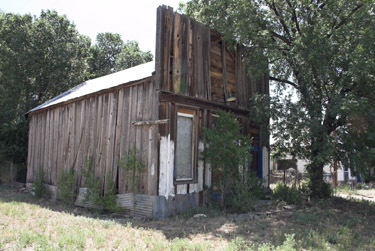 The modern visitor will find the Diamond Bar Saloon, a community center and a number of vintage buildings dating from the 1880s. A community fiesta is held every April, and a fall festival held every September features contests and activities that recall the old mining days and history of the town. 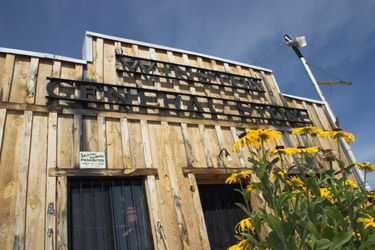 Gas, food and souvenirs are available at the general store located on the corner of Highway 52 and Main. Winston is located 37 miles NW of T or C, a few miles NE of Chloride. From I-25 take exit 83 (NM-181/US-85) towards Cuchillo / Monticello. Turn left onto NM-181/US-85. Turn left onto NM-52. After approximately 27 miles you'll reach the town site.